World’s first integrated Gantt Project Management solution combined with the power of Alfresco BPM technology to help organizations realize instant time-to-value with Gantt project planning, automatic BPM execution and real-time monitoring using our patent-pending method of transformation between Gantt project and BPMN process domains. Time is a critical problem in Project Management and the essential aspect for any business process, because it directly affects operation costs, losses of productivity, lack of coordination, missed deadlines or business opportunities. To solve time planning and scheduling problem in Project Management, Gantt timeline has been successfully used world-wide since 1910 as an effective tool to specify the coordination and plan execution of projects with complex time constraints in a simple and intuitive way. Since 1995, organizations had widely adopted MS Project to help with time planning using Gantt timeline to help with scheduling automation. Enables rapid adoption of Alfresco BPM technology for Project Management automation to streamline time-critical business project and operations. Without Gantt BPM automation, human efforts in all activities require man-months of manual implementation and human coordination between Project Manager, Process Designer, and Software Engineer. Project Design Effort: During process planning and modeling stage, Project Manager needs to work backwards from the target deadline date in order to determine earliest possible start date using Critical Path method (sequence of tasks that will take the longest to complete to execute the process) and schedule tasks and resources with real-life different temporal and relationship constraints, i.e. Process Design Effort: Process Designer uses Gantt model to manually transform all the Gantt tasks and resources constraints into BPMN process model that meets all temporal constraints and relationships specified in the Gantt model. Software Engineer will use BPMN process model to prepare, test and stage for deployment. Process Designer uses Gantt Project Management timeline to specify the required process design of all time-constrained tasks with resources and the ability to test the feasibility of executing the Gantt plan scheduling and critical path assessment feature. With one-click, the Gantt BPM instantly transforms it to valid BPMN process model that meets the temporal constraints and task relationships specified in the Gantt plan. During run-time, the APS BPM engine helps orchestrate tasks for all participants. When any task is started or completed in BPM process, it automatically synchronizes BPM task state with Gantt project instance. Project Coordinator is now able to monitor progress and mitigate risks in real-time using Gantt project view. How does GanttBPM solves project management challenges? GanttBPM combines widely used and simple intuitive Gantt timeline project planning tools with the power of BPM automation technology in order to execute Gantt project as BPMN process. How does GanttBPM solves BPMN time dimension challenges? GanttBPM leverages Gantt timeline to map the project requirements of all time-constrained tasks with their resources into equivalent BPMN process model with our patent-pending transformation between Gantt project and BPMN process domains. How does GanttBPM complements Alfresco Digitial Business Platform? 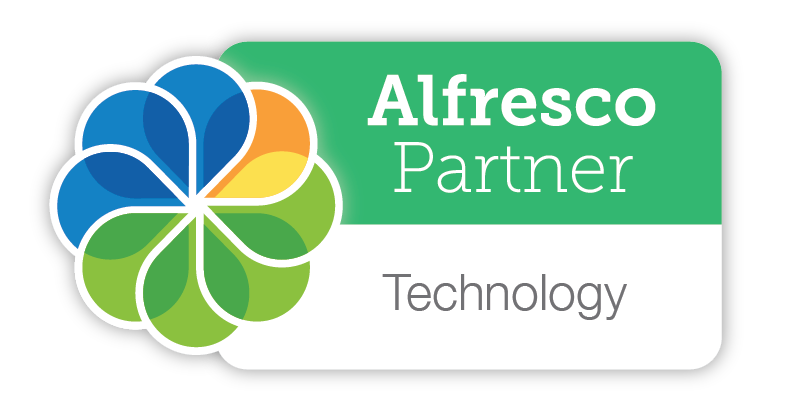 How does GanttBPM works with Alfresco Digitial Business Platform? What are the benfits of automating projects with GanttBPM? What is the roadmap of GanttBPM? Currently, GanttBPM is in technology preview stage. It will be production ready in January 2018. Yes, please, contact us to schedule a demo. Subscription-based pricing based on tiers of users. Please, contact us to discuss your requirements.